Barbara Iglesias is BinterTechnic's Commercial and Marketing Director, an aeronautical engineer and a graduate of the Executive Master of Marketing and Sales programme, jointly run by Esade and SDA Bocconi. With a wide international background in aviation, she has worked in 17 different countries, around 4 continents. She has experienced many cultures all around the world from different aviation perspectives: Technical Services Representative, Engineering Manager, Quality Assurance Manager, Certifications Manger, Aircraft Acceptances and Deliveries Manager and Commercial Director. As technical services representative, she has played the role of the customer in many aircraft maintenance facilities. One of her most particular jobs in this area, consisted in leading the implementation of the Real Madrid aircraft modification and painting. As quality assurance manager, she has dealt with plenty of civil aviation authorities and international aviation regulations throughout different certifications and audits. 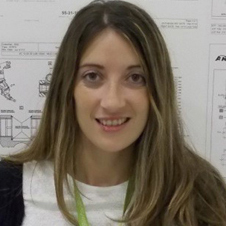 Passionate about the regulatory affairs in international aviation, she is an active trainer of the Spanish Air Force in the implementation of the new European Air Force maintenance regulations. As Commercial Director, she understood completely the aircraft maintenance business and developed the commercial network of the company. One of the most challenging projects in which she is involved, is the stabilization of the regional operations of Ceiba Intercontinental (the Equatorial Guinea national Carrier), standing shoulder to shoulder with the Country's Aviation Ministry. After being promoted to Commercial Director in BinterTechnic in 2011, she discovered her real talent: commercialization. In 2013 she increased Binter aircraft maintenance business's sales 20 fold. Customer insights hunter and lover of digital enablers, she has applied several marketing techniques all of them structured in a neuromarketing strategy based on Binter brand equity. Without any question, Bárbara is having a very fast career progression, blending a deep technological knowledge with customer-centricity competences applied to strategic neuromarketing.